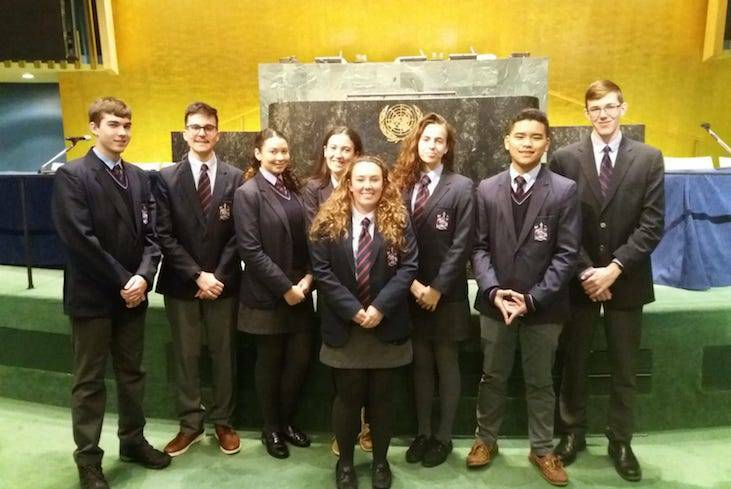 Eight Saltus students are back in Bermuda after attending a UN conference addressing the need for effective water management in order to avoid a worldwide crisis. SGY 1 students Noa Sadeh, Kennedy Durfy, Ellie Dunleavy, India Paynter, Nuno Rebelo, Scott Gilbertson, Zach Bucher and Ritz Wong, as well as teachers Briley Habib and Erica McArthur were among 700 high school students from schools from five continents who attended the conference in New York City, which had the topic ‘Ripple Effect: The Water Crisis’. Ms McArthur said: “With the aim of promoting global awareness and cross-culturalism, the annual themes are always ones of global importance. 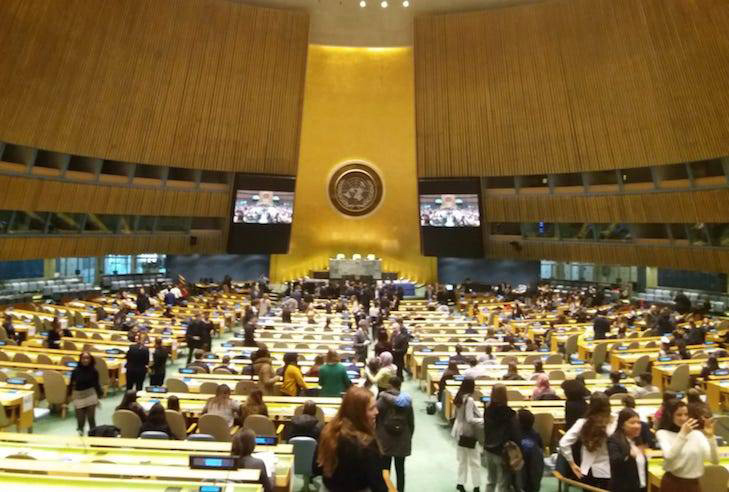 More than 300 students from all over the world were invited to attend in addition to the upper classes at the United Nations International School, bringing the total to about 700. “The conference examined the role of water in relation to sustainability and geopolitics, investigating how growing demands, climate change, and increasing pollution are affecting water security. In addition, it considered the political and economic implications of mass migration due to flooding and drought, innovative solutions in cleaning up the ocean, and the consequences of ice melts in the Arctic on trade and travel.